We can take your footage and edit it to your specifications. We have edited hundreds of different types of projects. From family to business to documentary, we will work within your budget to get you the video you want. We can edit from nearly any video, audio or digital source. If you have video on tape or disc; video from your phone, camera, or computer screen; SD or HD; we can combine your footage to create the video project or presentation you need. When it comes to the budget, preparing to edit is as important as the editing itself. 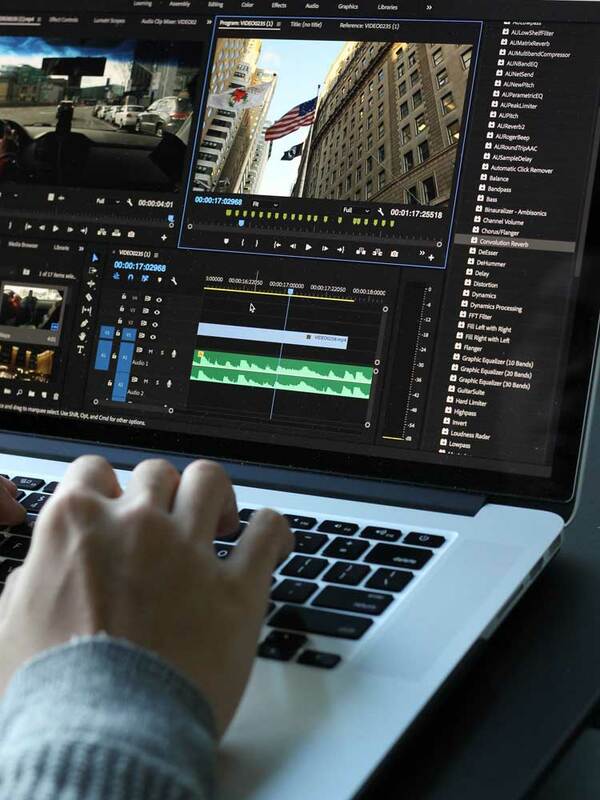 We can help you prepare for editing with us by showing you how to "log" your videos. This will save you hours in editing time. Call us to discuss your project or get started early by downloading the Video Editing Log. Next, we schedule an edit session with one of our editors, right in our Indianapolis office. We will be happy to capture your video (if analog tape) before your appointment to save you time in editing. When you come in, you will sit in during the editing and guide our editors as your video takes shape. You can choose to add video effects, music, text graphics (titles), animated backgrounds, voice-over and more. We will be here to help you every step of the way. If you don't have the time to sit with us or your project is not complex, you can also leave the decision-making to us. Following your notes and log, we will edit the video as you like. You can proof the video with an optional online preview video before the final video is produced. Last step, choose your video format. For most projects, many people prefer a video file. This can be nearly any format including file formats like .mp4, .mov, and more. File formats can be in resolutions of 1080p, 720p or 480p. Disc versions include DVD and Blu-ray. Whether it's a project we helped edit or a video you already have edited, we can author a disc for you. You can get a basic autoplay disc, where the video starts playing immediately. You can also choose to get a custom designed disc with multiple buttons, menus, artwork and more. Let us know what you have in mind and we will take it from there. Got a tight deadline? Contact us and we will do whatever we can to meet it. Ever capture a great shot on video that you wanted as a photo? Maybe you wanted to e-mail it, post it online, or hang on your wall? We can create a digital "freeze-frame" image from your video. Contact us and we will schedule a time for you to bring in your video (nearly any format), and you can sit with us as we capture the images. How do you want your digital images? We can give them to you on a disc or USB drive. We can also print them in a variety of different sizes. We'll also crop, color-correct and filter your images to make them "suitable for framing." These forms may help you in preparing your editing project. "I had searched for a great editing team/company in Indy, but yet reasonable in price to get my projects done. That is what I found with Movietyme. They were very professional, helpful, and quick. They understood the budget I was trying to stay under for each project. I used them to turn 30 plus tapes into ... mini movies that I can enjoy watching anytime / anyplace. I highly recommend them and will use them in the future whenever I have an editing job."